Ah, summer! The smells of freshly-mown grass, flowers in bloom, suntan lotion and salt air; the sounds of birds chirping, katydids tattling, the quickening afternoon breeze rustling through the leaves. And, as Georgette just told us, the varied flavors of ice cream. Aren't those the perfect sounds, scents and tastes to put you in the mood for some World War II and Cold War books? 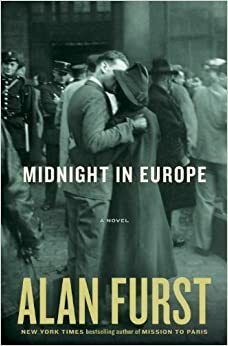 I'm starting with Alan Furst's latest, Midnight in Europe (Random House, June 10, 2014). Before World War II began in earnest, there was a dress rehearsal in Spain, as Francisco Franco's Fascist forces on the right, aided by Nazi Germany, battled the leftist Republic, aided by the Soviet Union. In Furst's story, Cristián Ferrar, a Spaniard who works at the Paris and New York offices of the prestigious Coudert Brothers international law firm, is recruited to help the Republic by smuggling arms to them. Ferrar will enlist the help of anyone willing, from the politically committed to the mercenary, high society to laborers. The thing about Furst is that he can make this kind of thing so gripping, even though we already know how it turns out. pride Germans had lost after its defeat in World War I. As soon as the Nazis gained power in 1933, they encouraged the founding of pro-Nazi organizations among German Americans. 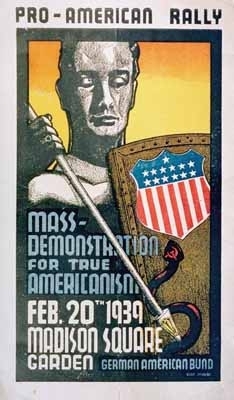 The German American Bund held mass rallies against the FDR administration, communism, organized labor and the boycotts of German goods that followed Germany's adoption of anti-Jewish laws. There was even a movie theater in New York on 96th Street that showed Nazi propaganda newsreels from 1933 right up until the bombing of Pearl Harbor. Knowing this, it's not surprising to learn that Nazi Germany had willing spies in the US, including the Queens, New York man who stole the blueprints for the technologically advanced Norden bombsight and turned them over to Germany in 1937. 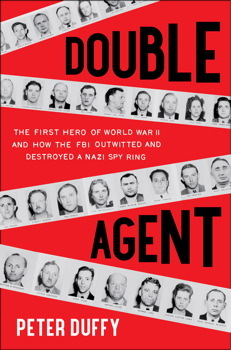 Peter Duffy focuses on the nonfiction story of German American spies in Double Agent: The First Hero of World War II and How the FBI Outwitted and Destroyed a Nazi Spy Ring (Scribner, July 22, 2014). After reading that whole title, which probably ought to have a spoiler alert tag, you might feel you hardly need to read the book, but I think I will. I'd like to know more about William G. Sebold, the man approached by the Nazis to spy for them, but who contacted the FBI and offered himself as a double agent. And I'm especially interested to read about the agents he caught and learn about their motivations. I wonder how all this will compare to that classic of anti-Nazi movie propaganda, Confessions of a Nazi Spy (1939), with Edward G. Robinson playing a G-man up against the Bund. One of the early shocks of World War II was how quickly Germany overran France, including Paris, the City of Light. In Susan Vreeland's Lisette's List (Random House, August 26, 2014), Lisette Roux is crushed when she must give up her art studies in Paris and move to Provence to care for her husband's father, Pascal. But there, she finds that Pascal, a pigment seller and frame-maker, has more to teach her. In his youth, Pascal knew several of the Impressionists, and has his own small collection of paintings. 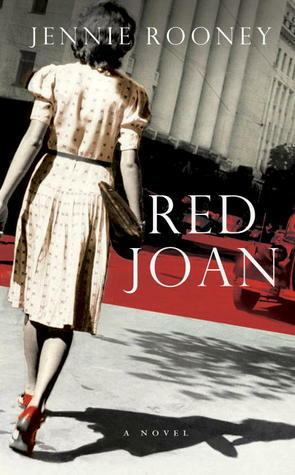 Lisette's husband is called up for military service and, as the Nazis tighten their grip on Vichy France, Lisette learns more about art, and humanity under pressure, than she would have in her Paris studies. I've always been fascinated by reading about spies, especially deep undercover agents who appear to live normal lives in one country, all the while acting as agents for another country they may not see for long years, if ever. What must it be like never to be able to truly reveal yourself to the people you work and live with? What kind of mind does it take to commit to working for a political concept, while living every day in a political society contrary to that concept? 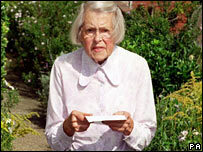 In 1999, The Times of London electrified its readership by revealing that Melita Norwood, a retired civil servant, had acted as a secret KGB agent for over 40 years, passing the Soviets information relating to nuclear weapons that she gleaned from her job at the British Non-Ferrous Metals Research Association. Though the British secret services were more than suspicious of Mrs. Norwood, she was left alone for years to avoid exposing other espionage investigations. William Nicholson's Reckless (Simon and Schuster, August 12, 2014) is another British take on the Cold War years, featuring a mix of fictional and real characters. Our protagonist, the fictional Rupert Blundell, is a young man at the end of World War II, who has lost a chance at love. In 1962, Blundell is an advisor to the very real Lord Mountbatten who, you might remember, was a key figure in British government and very close to Queen Elizabeth, Prince Philip and Prince Charles before Mountbatten was killed by IRA assassins. Of course, 1962 is a critical year in Cold War history, as it culminates in the 13-day Cuban Missile Crisis, when the world teetered on the edge of nuclear oblivion. In the UK, Conservative Party member Harold Macmillan was Prime Minister, and his Secretary of State for War was John Profumo, now remembered chiefly for the "Profumo Affair" scandal that contributed to bringing down the Macmillan government in 1964. But in 1962, the public is unaware of Profumo's affair with 19-year-old Christine Keeler, a would-be model and casual prostitute who runs with a louche set that includes a Soviet naval attaché. In addition to following Blundell's life during these tumultuous times, we are also introduced to the 18-year-old Pamela, who moves to London and throws herself into a social life with the society types who slummed it with that same set in London, but spent weekends at Cliveden, the Astors' country estate. What will happen to Pamela? Will her story follow that of the heroine of Samuel Richardson's 18th-century Pamela; or, Virtue Rewarded? Or is she destined for a more cynically contemporary version of what happens when a young girl meets up with rich and powerful men? Maybe she'll be more like Pamela Digby Churchill Hayward Harriman, whose Wikipedia entry makes for engrossing and entertaining reading. I'm looking forward to finding out all about Reckless's Pamela and Rupert Blundell. For the spy-obsessed, few topics are more enthralling than the Cambridge Spy Ring, a group of four, five or maybe more students recruited from Cambridge University in the 1930s to spy for the Soviet Union. Cambridge had long been a talent-spotting pool for the British government and intelligence agencies, and proved to be an equally valuable source for Soviet intelligence. Harold Adrian Russell ("Kim") Philby is the most famous member of the Cambridge Spy Ring. He had a long career in British intelligence and, when he was stationed for several years in Washington, DC, he worked closely with the Director of the CIA, James J. Angleton. Despite suspicions about him, especially when evidence strongly suggested that his tip-off allowed two other members of the Ring to flee to the Soviet Union in 1951, Philby continued to work for British intelligence, formally and informally, for over a decade. 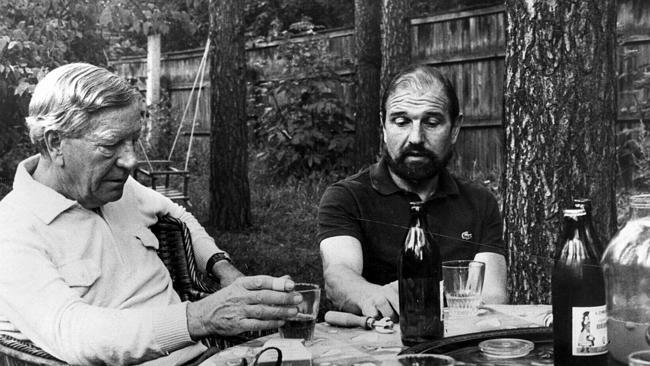 Finally, the defection to the US of a highly-placed KGB official made things too hot for Philby and he fled to the USSR, where it is said he lived a fairly unhappy life, marinating in booze, for another quarter century. There have been loads of books and articles about Philby, including Robert Littell's excellent 2012 novel, Young Philby. 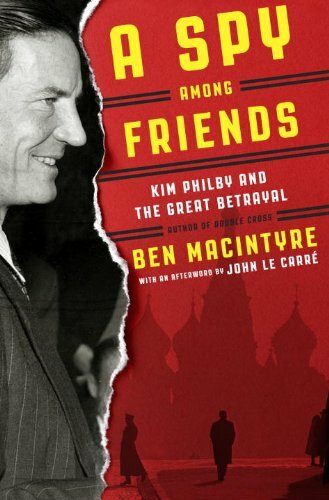 Despite the wealth of material already available, I was excited to hear that Ben Macintyre is coming out with his own book, A Spy Among Friends: Kim Philby and the Great Betrayal (Random House, July 29, 2014). Macintyre is best known for his previous books about World War II, Agent ZigZag, Operation Mincemeat and Operation Double Cross. These books focus on little-known and usually eccentric figures who made a key difference in wartime espionage. Though Macintyre is now turning his sights to a much better-known figure, it looks like he'll be looking at it from his usual more personal angle. In A Spy Among Friends, Macintyre looks at Philby through the prism of his friendship with Nicholas Elliott, someone he went to school with, served with in World War II and worked with in British intelligence. Like CIA chief Angleton, Elliott never knew until it was far too late that his friendship with Philby had been betrayed over and over, and everything he'd ever told Philby about his intelligence work was relayed to the Soviets. I'm hearing a lot of enthusiastic buzz about the book, with some calling it as exciting as a fictional thriller, and others noting its psychological insights and inherent critique of the British social system that traditionally fed its intelligence services. I wonder if I'll be ready after that to read a very different Cold War story; one set in Dresden, East Germany, in that final decade before the Wall came down and the two Germanies were reunited. Uwe Tellkamp's The Tower won the German Book Prize in 2008 and is finally becoming available in English (translated from the German by Michael Mitchell, Viking, July 3, 2014). When I think of the German Democratic Republic, I think of gray and cold; not anything summery. Oh, wait, I thought of something. If you need to tone up for swimsuit season, you can do some weight-training reps with this book, since it clocks in at 1,008 pages! Tellkamp, who was born in 1968 and grew up in Dresden, brings his own experiences to bear in this story of a soldier, surgeon, nurse and publisher in this tumultuous time. Tellkamp did his mandatory military service as a tank commander, but he was thrown into prison when he refused to break up a political demonstration in 1989. Because he was labelled "politically unreliable," he was unable to pursue his university studies and plans to become a physician until after the GDR collapsed. This is a panoramic depiction of the complexities and compromises of life in that dying regime. It sounds a little crazy to say I'm looking forward to reading it, but I am––though probably in e-book form. If you're a fellow fan of espionage or World War II/Cold War books, it looks like we have some reading treats ahead of us this summer. And if you're not a fan, I still have some good news: we'll be moving on to other sub-genres in our other preview posts. I'm eyeballing that William Nicholson title myself! I do need to read his previous one (MOTHERLAND) as well, though.